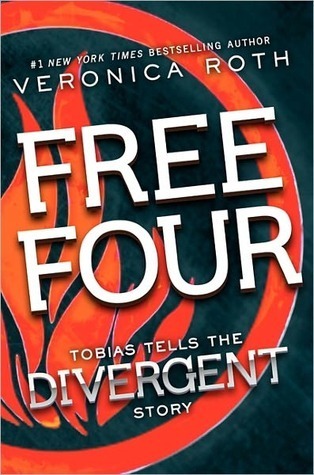 Free Four is a thirteen page novella which looks at Chapter 13 from Divergent from Four’s perspective. I’m not going to say too much as if you’ve read Divergent, it will spoil it and if you haven’t read Divergent you should read it first otherwise you’ll be quite confused. Personally Four was my favourite character so it was really nice to read from his point of view and find out a bit more about him as it’s clear from just reading Divergent that there’s a lot more to Four. It was also interesting to read about the history and the issues between Eric and him. Roth made a great choice by choosing to look at Chapter 13 from his perspective as when you read Divergent it’s clear there’s something else going on here and he isn’t just being a jerk, so it’s nice to find out what that is. If you’ve read Divergent, I highly recommend you read it and it’s a must read to find out more about Four, if not read Divergent first otherwise you’ll be confused. What do you think about authors releasing novella’s from another characters point of view? Did I Mention I Need You – Estelle Maskame* | YES! I got my book mojo back.